Discount stickers perfect for businesses advertising promotions or sales. 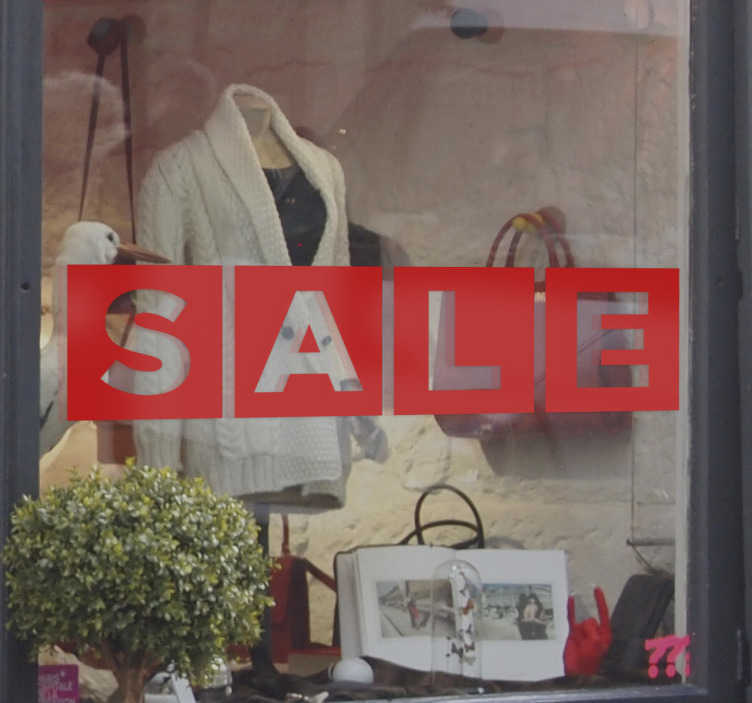 This window shop sticker consists of the word "sale" written in block letters. We offer a mirrored option which allows you to stick the decals on the inside of your shop window. We use an adhesive film which makes no mess and gives your business a professional look.